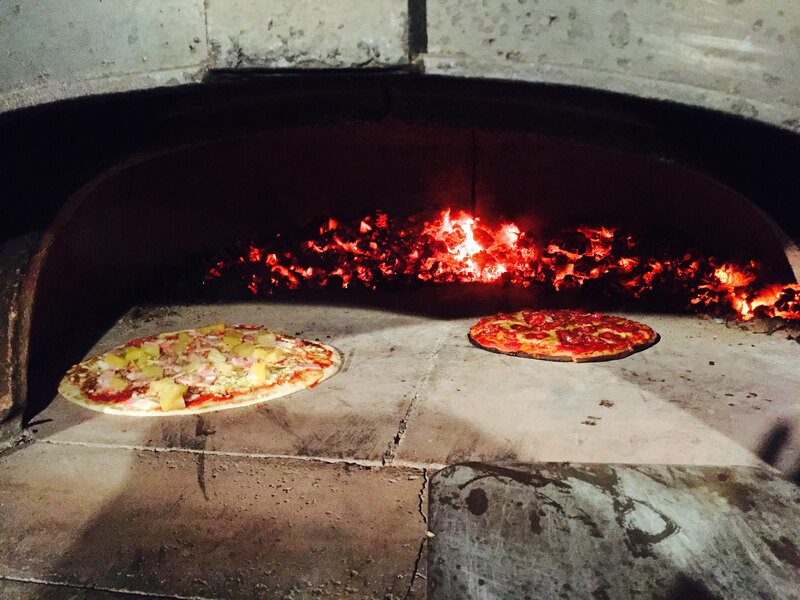 Caudo Vineyard | Warm Weather, Hot Pizzas and some grand final footy finals action! The forecasted weather sounds like a great opportunity to get the boat in and cruise to Caudo Vineyard for lunch. While you are here, walk up the hill to the Tangelos trees. There’s a few tangelos left so pick up a box from the staff and take some fresh fruit home. Don’t be indoors this weekend. Head out and enjoy the gorgeous sunshine that we are in for. This weekend is definitely the weekend of sport in the Riverland with both football and hockey grand finals on Saturday. We want want to wish both Waikerie Football and Waikerie Hockey club teams the best of luck on Saturday as they play for premiership titles. After not so pleasant weather conditions last weekend, we finally have something to look forward to. It will be the first time since April this year to have five consecutive days above 20 degrees. Saturday is looking like a great day for local football and hockey grand finals. Sunny and reaching a top of 28. The rest of weekend and early next week will be fine. UV levels are beginning to rise so if you are going to be out this weekend consider packing some sunscreen. We know how much you love the Sangria Sombreos so we have brought in these awesome new Sangria Caps! They are now in stock – what perfect timing heading into warmer weather. For a bit of personality, choose from two different characters- either the wake-boarding skeleton or the skeleton in a speedboat. Gets yours online or at the Cellar Door on your next visit. The Riverland football grand finals are on Saturday at the Barmera Football Oval. Show your support for your local team! The Illusions of Magic at Bonney Theatre, Saturday at 6.30pm. A great family event. The show includes illusions, magic, comedy with dove magic and quick change artistry. Waikerie Lions Club monthly auction at the Waikerie Riverfront from 9.00am Saturday 12th. Players, coaches, supporters, sponsors and volunteers are invited to the Waikerie Football club next Friday 18th at 6.30pm for Presentation night. $40 entry at the door including 3 course tea. Or pre purchase tickets at Walk on Water for $30. Don’t forget to pop in your diary; The Riverland Field Days for next weekend. Dates are 18th and 19th of September. Did you know that Hogwash Bend was a place that farmers took their live stock to drink and bathe. Today, it’s a popular camping spot on a beautiful sandy stretch of the Murray River. We even named our lager after it! Caudo Vineyard use to operate as a dairy that serviced the area from Cadell to Ramco in the late 1940s to early 1970s when it closed due to Modern regulations set in place. Today it still stands with all the original milking workings and is now used as a horse stable. If you haven’t already, follow us on Facebook, Twitter and Instagram for the latest news, photos, events and promotions. As always, we love hearing your feedback so leave your comments below. The next edition will be posted next Thursday.